Whether you're working or gaming, the Gigabyte 15.6" AERO Laptop has you covered. The 15.6" IPS display features a Full HD 1920 x 1080 screen resolution and a 16:9 aspect ratio. The 144 Hz refresh rate helps reduce motion blurs and screen tearing. Visuals are handled by the dedicated NVIDIA GeForce RTX 2070 graphics card with 8GB of GDDR6 VRAM. You can also output to an external display via HDMI or Mini DisplayPort (through the USB Type-C port). The system is powered by an 8th Gen Coffee Lake 2.9 GHz Intel Core i9-8950HK six-core processor. It also has 16GB of 2666 MHz DDR4 RAM, a 1TB M.2 NVMe PCIe SSD, Killer Doubleshot Pro LAN Gigabit Ethernet, Wi-Fi 5 (802.11ac), Bluetooth 5.0+ LE technology, Thunderbolt 3, USB Type-C, and USB Type-A. Windows 10 Pro includes all of the features of Windows 10 Home plus many designed specifically for business users, including Hyper-V virtualization, BitLocker disk encryption, and remote desktop access. Devices will also be able to join domains and the Azure Active Directory, and they can even access a specialized version of the Windows Store featuring custom, company-specific applications. NVIDIA GeForce RTX 20-series graphics cards are built on the Turing architecture featuring AI and ray tracing technologies for enhanced detail quality. With a dedicated graphics card, you'll be able to enable additional in-game graphical options and crank up visual settings to enjoy games at their best. The 15.6" display features an IPS panel for wide viewing angles. The screen also has a Full HD 1920 x 1080 resolution and a 16:9 aspect ratio. The display also has a 144 Hz refresh rate for smooth gameplay. The anti-glare coating helps reduce glare. 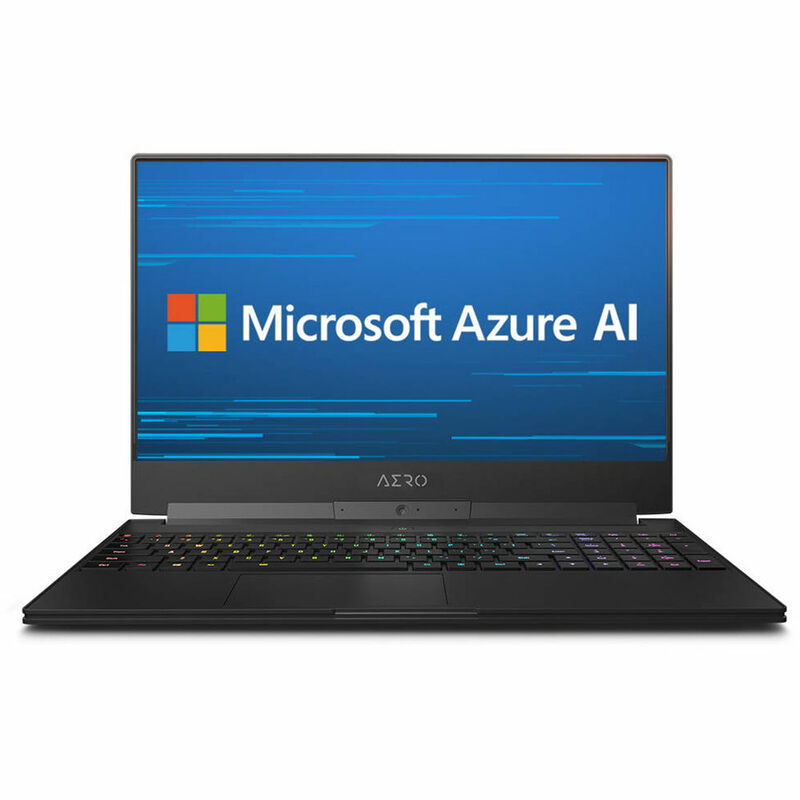 This laptop features an 8th Gen Coffee Lake Intel Core i9-8950HK processor. Its six cores can reach a base clock speed of 2.9 GHz and be boosted up to 4.8 GHz. The AORUS RGB FUSION keyboard features per-key RGB backlighting. Box Dimensions (LxWxH) 17.5 x 12.2 x 3.8"